Gov. 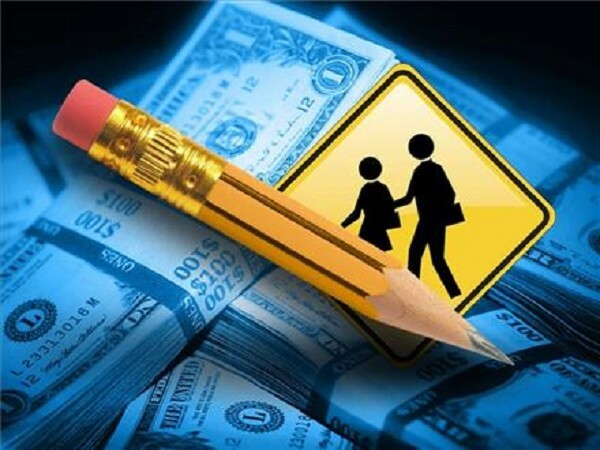 Rick Snyder is proposing changes in school funding aimed at improving student performance. The Governor asked Lansing lawyer Richard McLellan of the Oxford Foundation, charter school association official Mary Kay Shields and Peter Ruddell, partner in Wiener Associates governmental law firm, to propose a new Michigan Public Education Finance Act to replace the existing School Aid Act of 1979. The changes would incorporate the policies articulated in the Governor's Special Message on education issued April 27, 2011. The new Michigan Public Education Finance Act of 2013 is aimed at creating a public education funding system that allows a student to learn "Any Time, Any Place, Any Way and Any Pace," and create the path toward more robust performance-based funding. Supporters and detractors of the proposed changes lined up quickly. John Austin, state board of education president, said: "...these proposals would replace a coherent education reform strategy--that has enjoyed bipartisan support, with a 'Wild West' of unfettered, unregulated new school creation, decoupled from the goal of improving learning and student outcomes." "The thought of such a change has teachers unions and others in public education up in arms," says the Oxford Foundation. "But the reality is this won't destroy schools in Michigan. It will make them better." The Oxford Foundation focuses on projects that "lessen the burdens of government," an IRS-approved charitable purpose. In addition, the Foundation has received an order from the Ingham County Circuit Court authorizing the Foundation to practice law as a public interest law firm. The Foundation has a four-person board of directors and operates without any paid staff. The Battle Creek Enquirer weighed in with: "Critics who argue that schools of choice is destroying public education might find little to like in the draft bill, expected to be introduced as part of Snyder's budget presentation in February. "Michigan Board of Education president John Austin called it a 'voucher system,' and indeed it places an inordinate amount of faith in the ability of markets to correct what ails our schools." Below are five major concepts included in the draft. 1. Removal of District 'Ownership' of a Student. A student will be allowed to take a course, multiple courses or the student's entire bundled education package from any public education district in the state. A local school district will maintain its ability to determine whether to participate in open enrollment. 2. Creation of Online Learning Options with Performance Funding. Technology is changing the delivery of instruction to students. A student will be allowed to access instruction from across the state using advancing technology. The district providing the online course will immediately receive public funding, based on performance measures. Again, a district will not limit a student's choices. 3. Funding will truly follow the student. Under the current model, a school receives 90 percent of its state general education funding based on where a student sits on the first Wednesday in October. We create a dynamic system, where the funding will actually follow the student. Fifteen other states are already using the Average Daily Membership method for allocating funds. 4. Framework for Performance-based Funding for all courses. We are setting the framework for the full implementation of computer-adaptive student growth and assessment tools that are on the horizon. We are maintaining the current growth funding incentives for the next fiscal year until the Smarter Balanced assessment and the recommendations from the Michigan Council on Educator Effectiveness are complete. 5. Early Graduation Scholarships. We are creating an incentive for students 'who are ready' to graduate early. A scholarship of $2,500 will be available for each semester a student graduates early. Let's help those students who are ready to graduate.